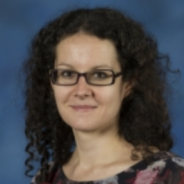 Assistant professor of computer science Adriana Kovashka recently received funding from the Amazon Research Awards for her project studying how objects foreshadow film plots and explain advertisements. She proposes to understand two artistic media — movie plots and advertisements — via the objects emphasized in movie frames. “We propose to understand objects in film and ads through models that rely on common-sense knowledge extracted from: movies and knowledge bases. We use films as a medium to visually capture life experiences, including the context (i.e.objects) in which they occur,” Kovashka said. This funding will help strengthen the relationship and collaboration between the School of Computing and Information and Amazon Research.